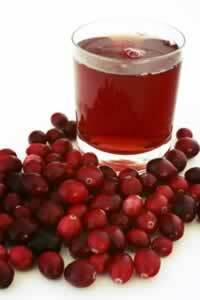 >Drinking herbal teas is a time tested method of combating bladder and urinary tract infections. Increasing the amount of liquid you are taking in helps to increase the amount of urine and helps flush out harmful bacteria. Drink herbal teas in place of soft drinks to cut down on the sugars that feed bacteria infections. Adding a pinch of baking soda to these herbal teas will help decrease the burning sensation that signals a bladder infection. Herbal diuretics : buchu and cornsilk teas. Extracts of corn silk are potent diuretics for the water retention and tissue swelling that accompany cystistis and urinary tract infections. Over-the-counter premenstrual diuretics contain buchu as an active ingredient. The diosphenol in buchu helps kill bacteria, and the diuretic action helps to flush out the urinary tract. (Duke,James, Ph.D.) Cleavers is a reliable diuretic used to help clean gravel and urinary stones and to treat urinary infections. (Mabey,Richard) Butchers Broom is known for it's cleansing and diuretic properties, which makes it useful for treating bladder infections According to M. Grieve, broom was recommended by Dioscorides and other ancient physicians as a diuretic in dropsy,edema, urinary obstructions and nephritic cases. (Grieve, Maud) Lovage is an old English garden herb whose use dates from the fourteenth century. Lovage's properties are similar to closely related plants like celery and parsely and like them is as effective diuretic for treatment of urinary tract inflammations, according to Commission E reports. Commission E Monographs Both parsley leaf and root can be used in teas as a diuretic to rid the body of excess water. Bladder stimulating oils: Damiana leaf , better known as an aphrodisiac , contains a mildly irritating oil that stimulates the urinary tract making it useful in urinary and vaginal infections. Horseradish may be an option for you if you enjoy the zesty taste enough to use it liberally. It is effective for urinary infections because mustard oil it contains is eliminated through the urninary tract. Due to their oil, juniper berries are a potent diuretic, imparting to the urine a smell of violets. The oil is antiseptic, making the plant valuable in treating cystitis and urethritis. 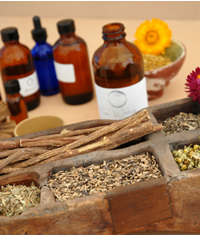 Calming irritation: Herbs that contain mucilage help to coat the urinary tract and ease irritation. marsh mallow root has demulcent and emollient properties that make it useful in inflammation and irritation of the urinary and respiratory organs. (Grieve, Maud) Couch grass it valued by herbalists for its mucilage rich rhizome. A tea made from the roots is useful for treating urinary infections because of the herb's broad antibiotic and diuretic properties.